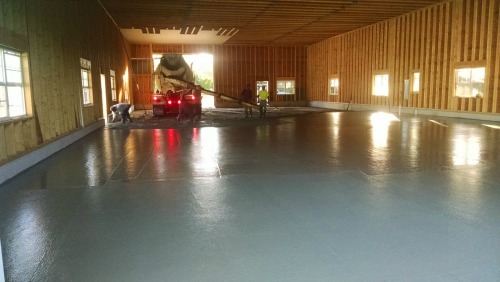 Local Concrete Floor Contractor for Brunswick, Me. 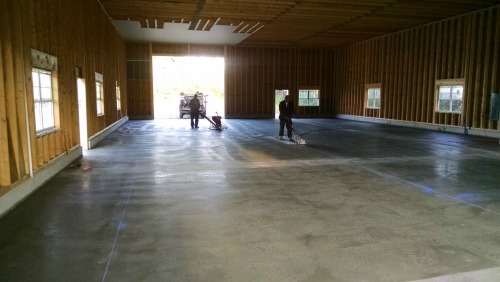 Concrete Floor Contractor for Brunswick, Me. Day's Concrete Floors, Inc. is your local concrete floor contractor for Brunswick, Bath, and Topsham, Me. If you need concrete flooring for your new home or garage, then you've come to the right place. We've been in the concrete floor business since 1985. Based in North Monmouth, Me., Brunswick is just a short drive for us to install your new concrete floor. Above, we're pouring a concrete floor in Brunswick, Me. for Dan Rodrigue, owner of Mid-Coast Woodworkers. Below, we're power troweling the concrete to a smooth finish and sawing expansion joints to help prevent random cracking. Brunswick is a great place to live and work. Having Bowdoin College in town just adds to what is already a terrific community. Day's Concrete Floors, Inc. is very proud to service the Brunswick and mid-coast area for all your concrete flooring needs. 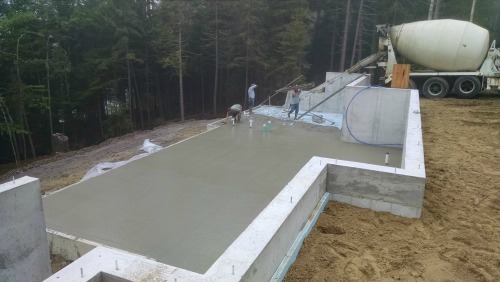 In the picture below, we're installing concrete flooring for another new house in Brunswick, Me. If you need a concrete contractor and live in Brunswick, Bath, or Topsham, Me., give us a call or send me an email using the form below. I'd be happy to give you a quote.